As I said in my last post, we are adapting not only to a whole new way of shopping, but also a much changed shopping list. There are no longer 200 different types of yogurt to choose from, which, to be honest, comes as a relief. And in Ghana here, the tomatoes are RED! Amazing huh? Not picked green and kept in nitrogen for our visual stimulation, while forgetting our taste buds. Tomatoes are always available. Cheap, even for obrunis, and are available in 2 sizes: baskets or large baskets! No buying just 2 tomatoes thank you very much. An average buy is 2kg, and costs around GHC4-5. First thing is to sort through the ubiqutious black plastic bag and fish out the sqaushed ones. Put these aside for soup. 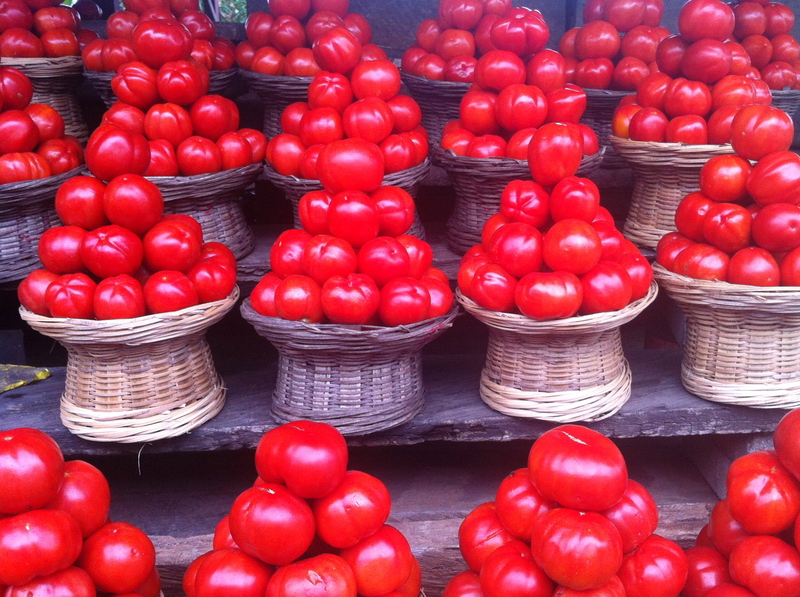 Ghanaians use tomatoes in a variety of dishes, and are commonly ground before adding to a dish. While there are Ghanaian dishes I really enjoy, it would be absurd of me to post them here, as I am a rank amatuer when it comes to Ghanaian cooking, and all I can share with you (at a later date) is Sly’s jollof rice. 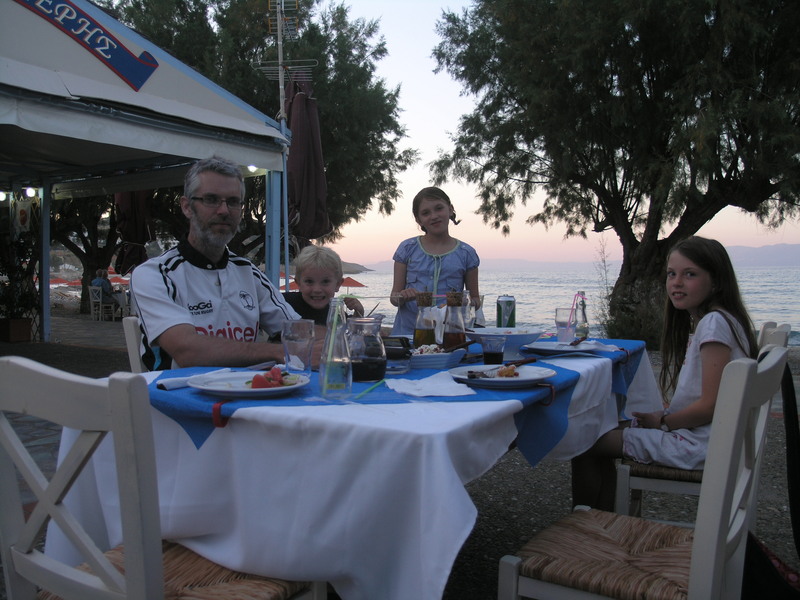 But today, we’ll head to a cuisine I feel much more capable of, Greek! 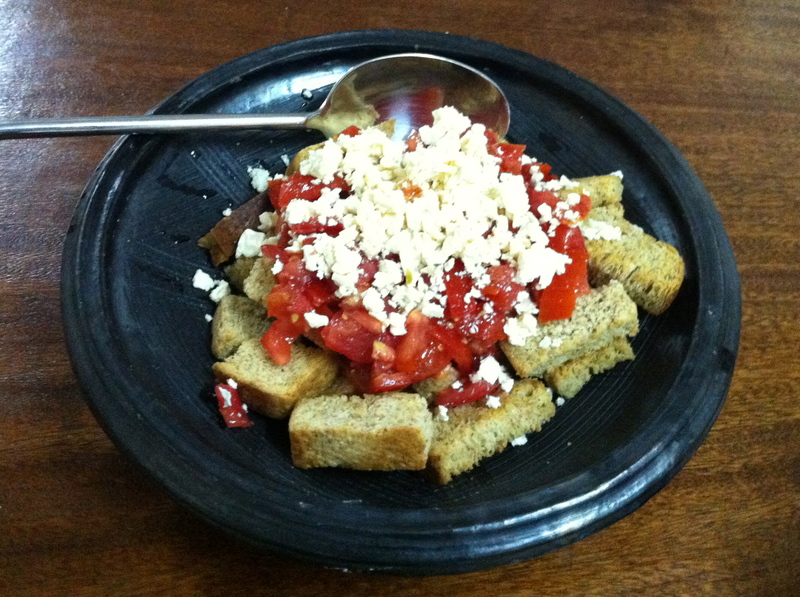 From the island of Kythera, comes a salad called Vrechtoladea, or tomato and fetta salad with rusks. My cousin’s cousin, but not my cousin (still with me) runs a beautiful beachside cafe/restaurant where we were introduced to the dish, and let in on the secret to make it so much more than tomatoes and soggy bread. Through trial and error, I bring you my version of Vrechtoladea. :: pull them out of the oven and leave to cool. :: pour tomatoes and dressing over the top. Go easy here, as sometimes you don’t need all the dressing. You want the rusks to soak up the dressing, but not to create a soggy mess. :: Grate fetta cheese on top, add a splash of olive oil, and sprinkle with dried oregano. ← Have you done the groceries?